High speed, multilaser flow cytometer and cell sorter used for single cell measurement. Xiangyang Liu will provide routine monitoring of the equipment. 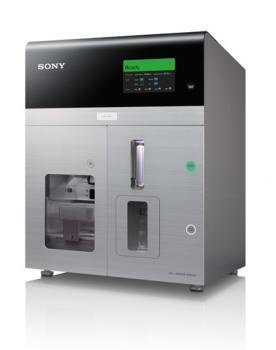 Maintenance will be performed by the service contactor from Sony Biotechnology. All users must complete all training procedures before any type of operations of the equipment. Xiangyang Liu will provide training for all users. If extended period of time needed (>4 hours), contact Xiangyang Liu first. Users must provide appropriate sorting chips and filters for samples. No BSL2 samples. BSL1 samples only. Samples must be filtered right before sorting (no more than 30 minutes). Equipment use hours: 9:30am to 4:00pm Monday through Friday (except for national holidays). If time is needed beyond these hours, contact Xiangyang Liu first.